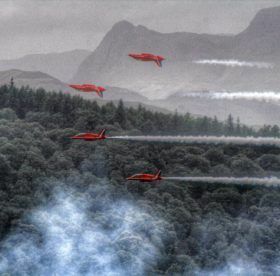 When a speed limit was brought in on Windermere in 2005, the critics – those who had power boats and wanted high speed water ski-ing – predicted gloom and doom for the tourist industry in the Lake District. 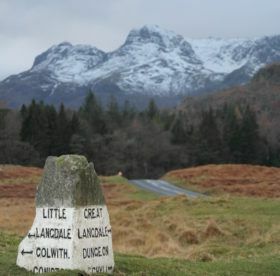 The Lake District National Park Authority introduced the speed limit which has since been set for most areas at 10 knots (11.5mph). Fast forward 13 years and the lake is a very different place. The water quality has improved, the erosion of the shores caused by powerful wash waves is easing, and many more people are enjoying more easily affordable and accessible water sports, in safety. Messing around in small boats is a pleasure once again. 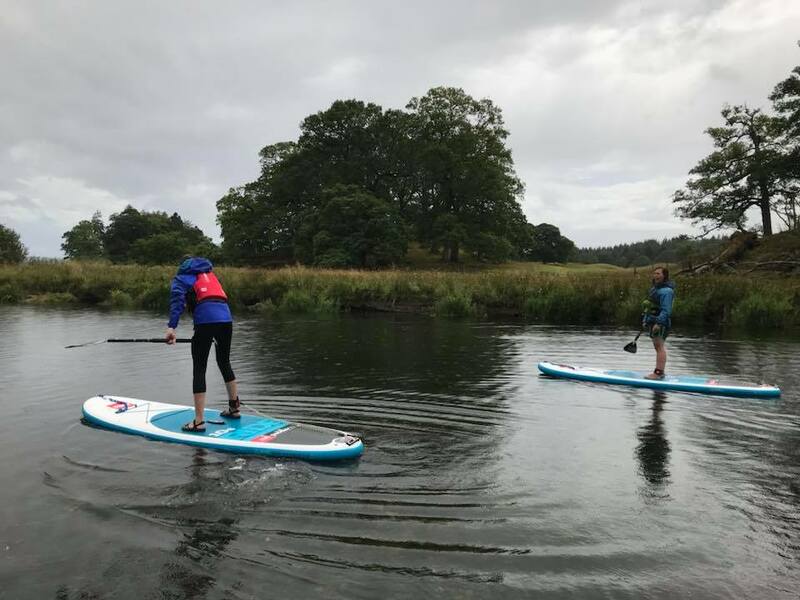 We’ve written before about open water swimming, but this summer we discovered SUP, Stand Up Paddle-boarding – and we’re hooked! Stand up paddle-boarding is a fast growing sport throughout the UK brought to us originally from Hawaii. It was invented as an alternative way to surf when there was little swell. The paddle board looks similar to a surf board and is propelled with a single blade paddle to move you through the water while standing or kneeling. 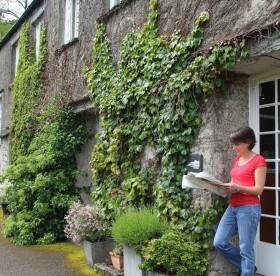 It’s easy to learn and is great fun, a really exhilarating experience. Paddle-boarding is an all-body workout which has more than just the physical rewards; it can also restore your balance and calm your spirit, say the experts. It certainly improves balance: stand up paddle-boarding requires a lot of core stability and leg strength to maintain balance. But like we said, it’s just great fun. I went with Sophie, my incredibly competent daughter, and to my surprise, it was she who fell in and not me! In terms of core strength, it’s akin to paddling on one of those wobble boards… my legs ached for two days. I loved it so much I bought a second-hand one, and the second and third trips didn’t hurt as much. It’s a very low-impact way to travel, and a great way to get close up to the natural world. We saw a Red Kite diving into the water for food (fish?) and Joe from LakeSUP reported seeing an otter. There are centres offering coaching on most of the lakes, but LakeSUP is the only fully mobile SUP hire outlet in the Lake District, on the river Brathay not far from our hostel. They give you the freedom to explore the Lakes when, where and for however long you like. They’ll rock up on your chosen day at an agreed time with all the kit required to get you going. 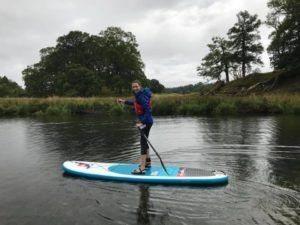 Experienced staff will tell you how it all the kit works, give you a brief introduction to paddling and suggest some secret spots to check out. A bit of history of the sport. The modern form of stand up paddle boarding, where a surfboard-like vessel is used, dates back to Hawaii in the 1900s. Adventurers would take part in cross-channel races between the islands of Hawaii. Meanwhile, in California, surf athletes would show up at local prone paddle board races, which were just beginning to have SUP divisions, and put on a show of not only performance but also their products. The world’s first inland SUP event and race was hosted at King’s Beach on the north shore of Lake Tahoe, California.